The multiplayer event in Germany was hosted by the adult education center VHS in the district of Cham. 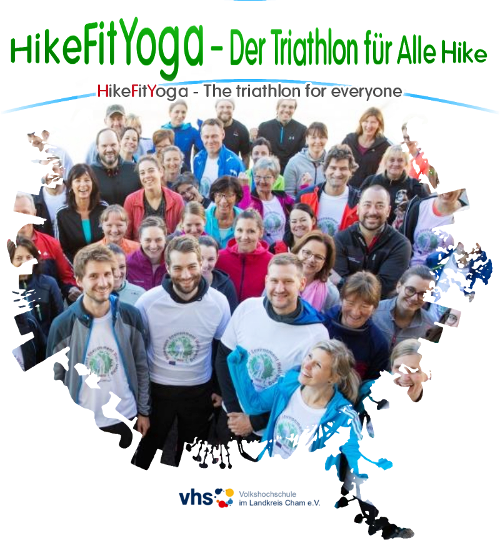 It took place on September 30, 2018 in Badstraße 15 in Cham and was carried out in cooperation with CrossFit Cham. The aim of the event was, on the one hand, the joint movement in the group and, on the other hand, to show the participants different kinds and possibilities of movement and sports. The participants had the opportunity to participate in three different sports and exercise programs. The first movement was a hike of about 6.5 km, with the ulterior motive to go 10000 steps and use the nature for movement. Second, the participants could choose between Indoor Cycling and CrossFit. As a third form of exercise and relaxation, the participants had the opportunity to take part in a yoga session. All offers were supervised and carried out by qualified trainers. The goal was to carry out three of the four movements, one after the other in form of a "triathlon". Of course, people were allowed to participate in the event if they wanted or could only participate in one or two of the sports.